Orissa Dance Academy, one of the premier cultural institutions of Orissa, runs under the guidance of Guru Aruna Mohanty, a reknowned educator, performer and choreagrapher of Odissi dance. 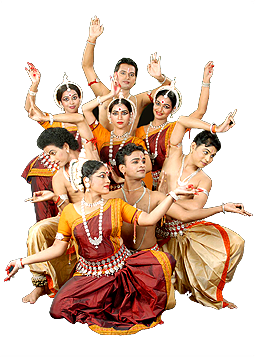 Established in the year 1975, it has made major contributions in projecting and popularising Odissi dance and music, as well as imparting intensive training to artistes both in India and abroad. It maintains a close association with several cultural institutions in India, Canada, Holland, Japan, France, Netherland, Korea and the United States of America. Upholding a rich cultural heritage, the Academy has moved ahead with its noble and dynamic mission to embrace many artistes into its cultural fold. Through its multifaceted activities it aims at international cultural amity and harmony. It is a unique institution where studios are never silent. Training classes are conducted by eminent and experienced gurus (teachers) in a scientific manner round the clock. It also organises cultural evenings, Odissi Sandhya and Annual festival of dance and music every year at difference places inside the country and abroad. The most significant milestone of Orissa Dance Academy was Konark Dance & Music Festival started in 1986, which was nurtured by ODA till 2008. ODA is the harbinger of true festival spirit by organising Cultural Festivals for the first time in later part of 1980s. 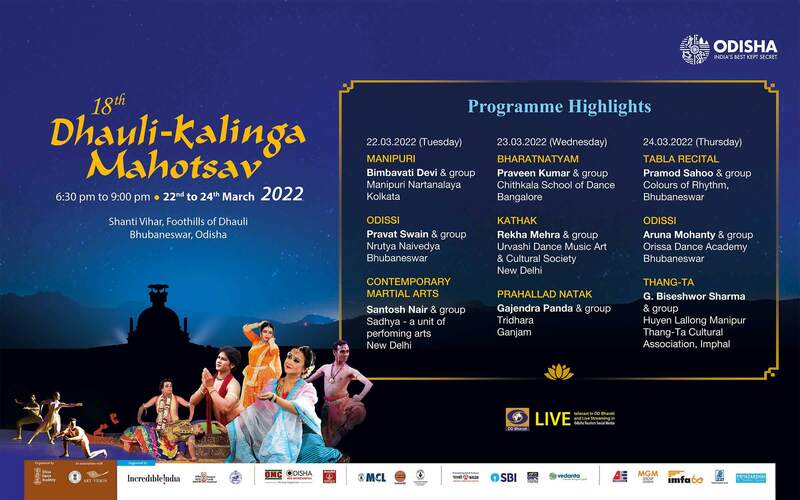 Academy also organises 'Dhauli - Kalinga Mahotsav' at Shanti Vihar, foothills of Dhauli, Bhubaneswar from 6th to 8th February every year to create cultural awareness among the people. Another important feature of our cultural calendar is the Annual Festival in San Diego in collaboration with the Centre for World Music.